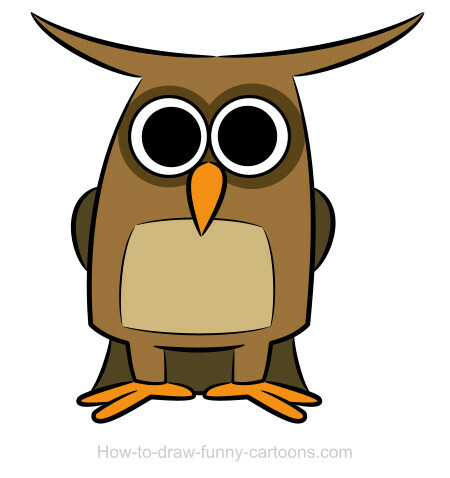 Learn how to draw owl drawings that are cute, filled with great colors and drawn with large big eyes! 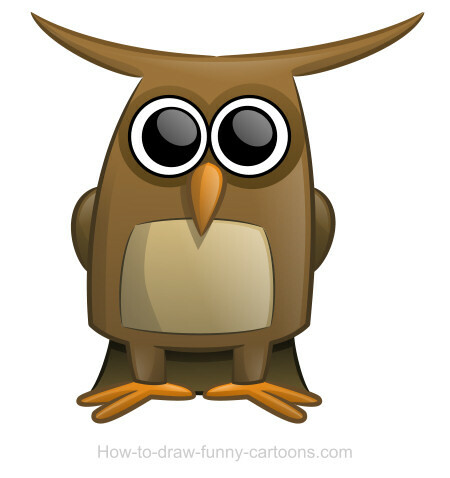 This particular animal is one of my favorite to draw. With its cute round body and large big eyes, it's hard to end up with something that doesn't look like a cute cartoon owl. In this drawing lesson, I will show you how to draw an owl with simple outlines, complex shadows and a great 3D look. 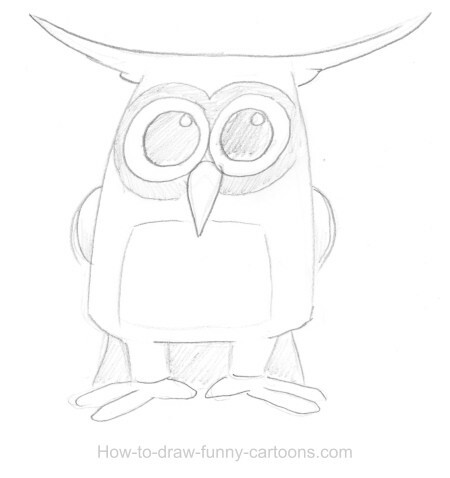 Start this tutorial by sketching the character using your pencil. You can also create your template directly on the computer if you prefer. When you are finished, scan or take a picture of your drawing and open your vector application. Import the template in your software and create a new layer. Use irregular lines (something that is thick in the middle, but pointed on each end) to create the general shape of your cartoon character. Create another layer that should be placed between the outlines and the template. Add shapes filled with plain colors to build your character. You can delete the template when you are done. 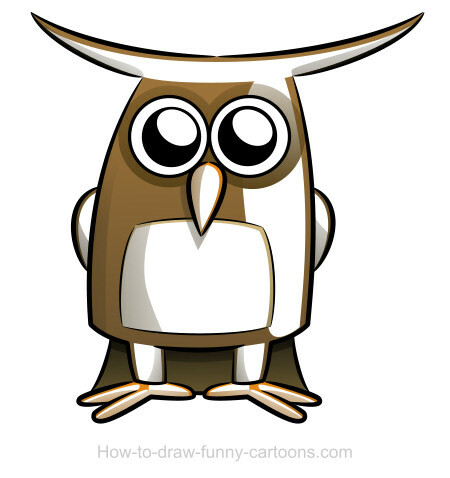 Select the gradient tool to illustrate a shadow on each element of the owl. The bottom part of each shape must be darker. To create more shadows, we need another layer that will be located between the outlines and the solid shapes. 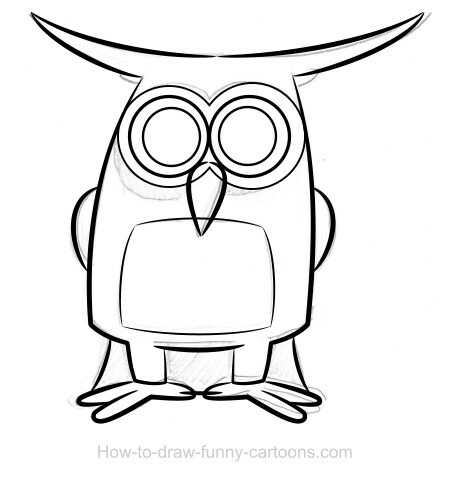 When you are ready, draw some shapes on areas that are not exposed properly to light. Use a dark color to create these shapes. Select the transparency tool and partially hide the top of each shape created in the previous step. Shadows are now more subtle and more realistic. Shadows are nice, but adding reflection is even better to give more depth, more volume to the illustration. Duplicate most solid shapes of the owl and scale them down a little bit. Each shape must be colored in white. Use the transparency tool again, but this time, you must hide the bottom part of your shapes. The result is perfect, but it can be slightly better.